It's the final days of Hudson's Bay "Bay Days". 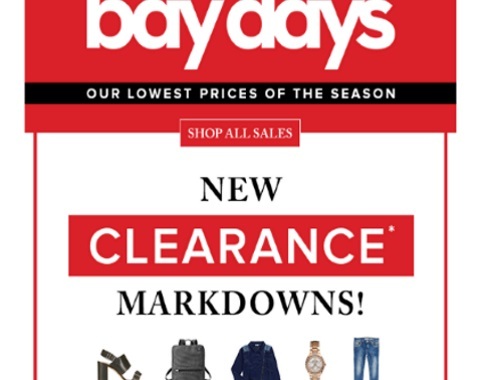 They added more markdowns recently and are offering the lowest price of the season for men's and women's fashion, shoes and boots, home items, luggage and more! Plus save an extra 15% off with the promo code SAVEBIG (applies to sale and clearance items too!). Offer ends Thursday, November 3, 2016.